Classic Asteroids arcade game-play! 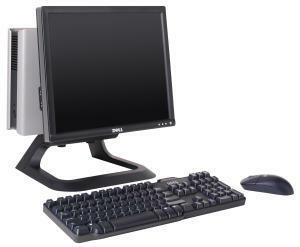 Control your space ship with one mission: survive by avoiding and destroying asteroids that fly throughout the screen. Also watch out for the spotaic UFOs that attack without notice! In addition to your ship's blaster, your ship is aided with hyperspace, which instantly transports you to a random location on the Asteroids playfield. 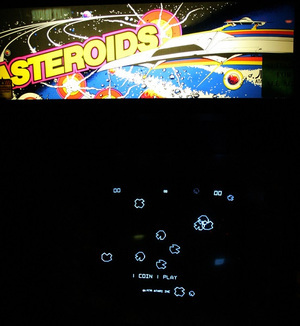 The Asteroids arcade game is easily one of the top five most successful arcade games released, and arguably Atari's most successful video game. 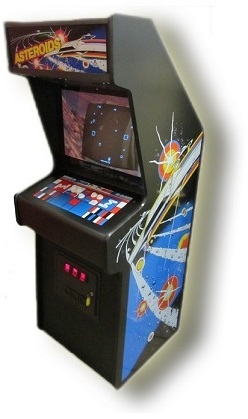 Atari Asteroids was known to devour quarters when released in 1979. 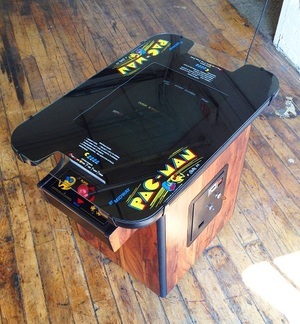 Some arcade operators of the 80s have claimed to have cut holes in the coin boxes to keep the machines from overflowing with quarters! 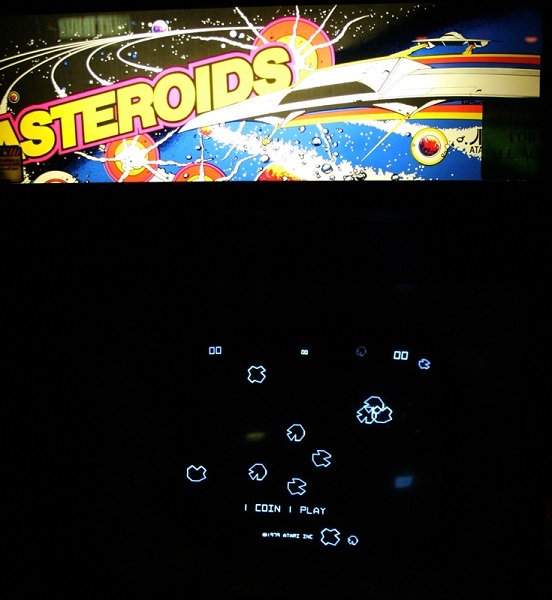 Enjoy this refurbished Asteroids arcade machine, suitable for use in your home game room or business!